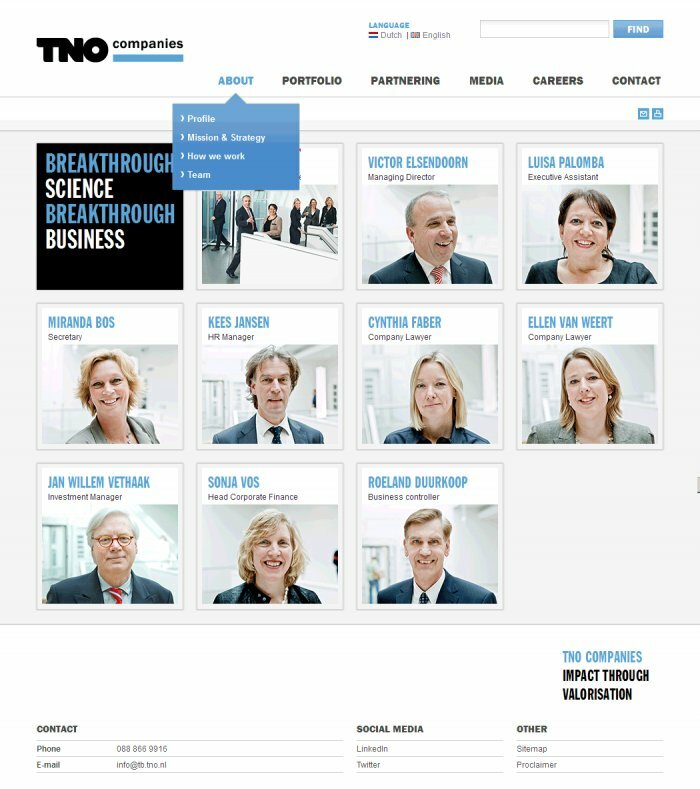 The partner for this project, Barlock, developed a smart graphic layout for the new TNO Companies website. 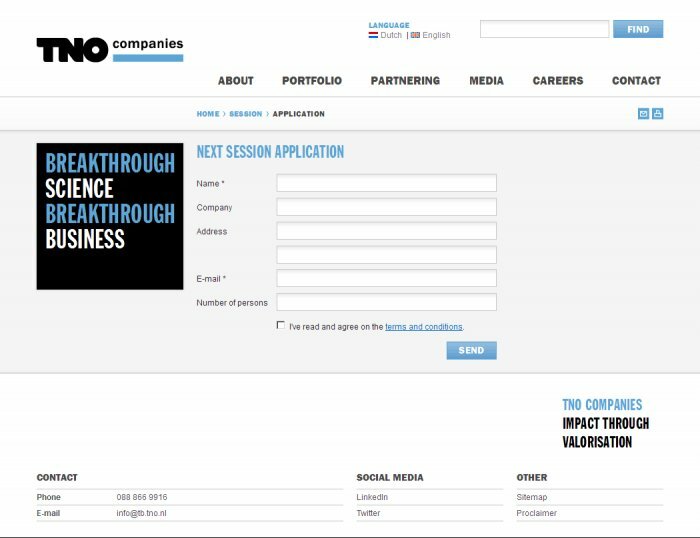 Alex was engaged to evaluate the project and to translate Barlock's layout into a working website. After accepting the commission, Alex developed the new website's front-end and custom bilingual CMS. 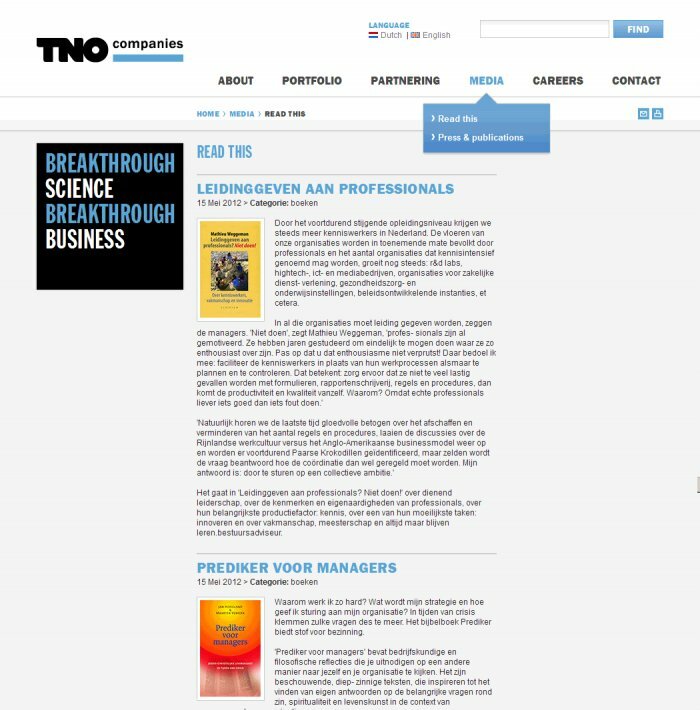 This CMS was a simple yet highly usable user interface which would allow the administrator (or web editor) access to relevant data, and easy website maintenance. Alex had worked previously with Barlock on the development of several of their designs. 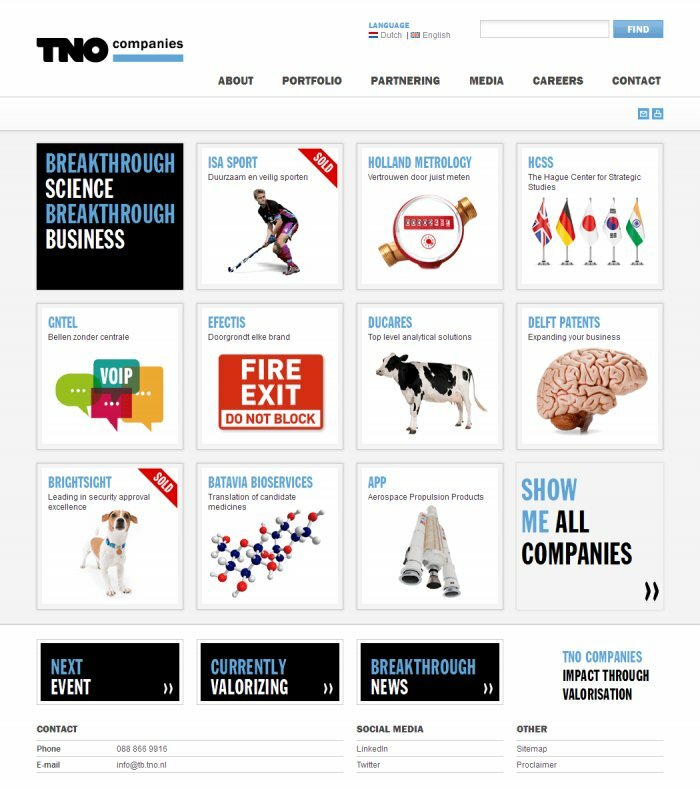 Take a look at the new Tno-companies.nl website.